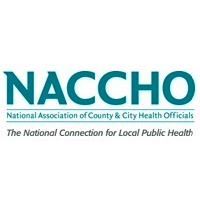 NACCHO turned to Copley Raff to design a scalable, actionable philanthropy and earned revenue advancement plan that would position the organization for sustainable growth. Copley Raff began with a thorough review of all aspects of NACCHO’s current funding sources, its mission assets, systems, operations, personnel, materials, and historical precedents. We identified case elements where NACCHO “moved the needle” in their work and recommended structures for the creation of the NACCHO Foundation and the NACCHO Consulting Group.